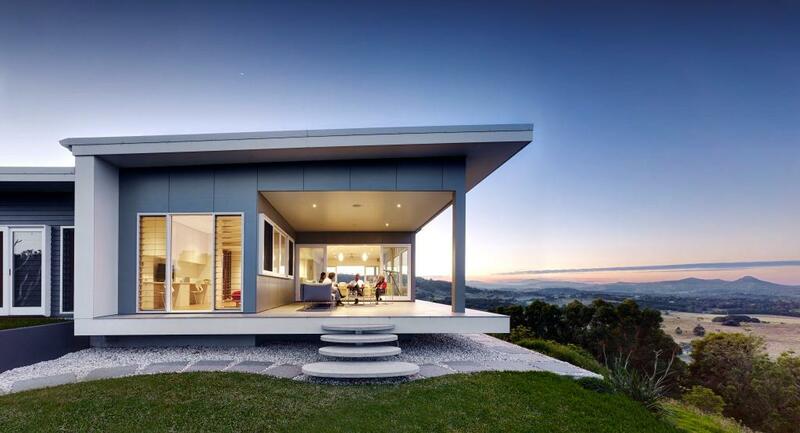 The Autonomous House has been designed by award winning Architect, Sam Zaher from Zaher Architects. 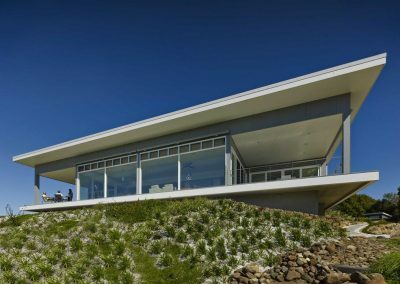 The brief supplied by the client entailed a modern, stylish and interesting home that was to sit lightly on the land, was open, airy and could age well. 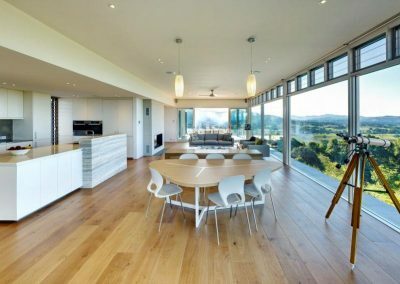 The property is located on a cliff of a 27-hectare block overlooking the ocean and the town of Byron Bay. It takes advantage of its position by the “U” shaped plan that Sam has designed in order to maximise the space and create several separate outdoor areas for the occupants to enjoy. Each space allows the residents to occupy each area in accordance with the season. This includes two north-facing decks for winter time with eastern and western aspects, and an outdoor south-facing courtyard for summer and windier periods. 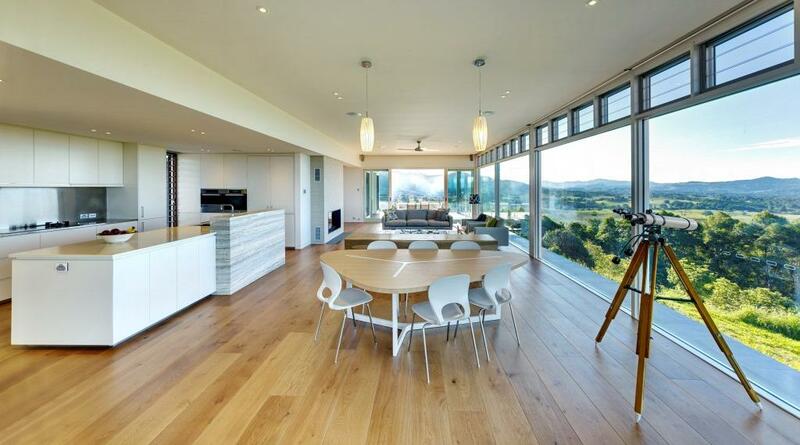 The layout of the home also ensures that every room enjoys a view. Breezway Louvre Windows have been placed strategically to assist with this and to help occupants live comfortably. 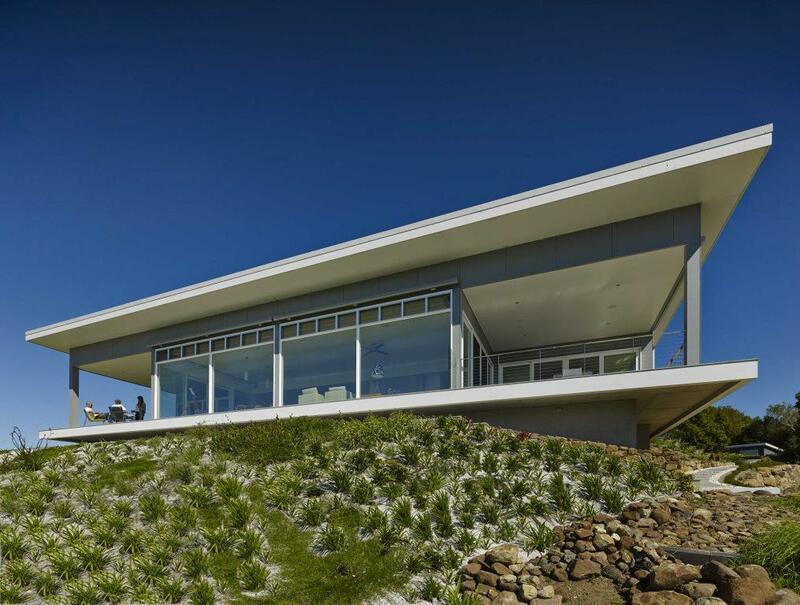 Powerlouvre Windows up high can be easily opened by the touch of a button to allow hot air to escape, while lower level louvres are manually operated to invite cooling coastal breezes to flow into the home. The use of Breezway Louvres also provides clear, uninterrupted views out to the Byron hinterland. Sam Zaher has cleverly created a modern, autonomous house that is sympathetic to the environment using unique design principals to generate its own power, collect its own water and deal with its own waste on site. 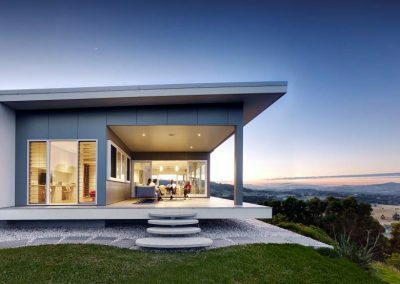 This inspirational home clearly displays a satisfying and restful place that the whole family can enjoy for years to come.